With an ever growing number of electronic devices on the market, the rise in e-waste (electronic waste) has grown exponentially. Many electronic devices contain heavy metals such as mercury, bromide and lead that can threaten our ground water if left in landfills. · TVs and computer monitors are classified as hazardous by the federal government. · The lithium-ion battery chemicals can leach into the soil and pollute water. Most components in electrical equipment can be safely recycled and disposed of so there is minimal threat on the environment. You can go to Earth911 to find out where electronic recycling centers are in your area. 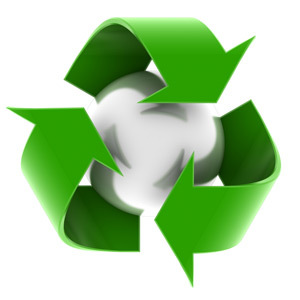 At ACF, we offer to recycle all of our client’s old electronic equipment for them. Our clients are appreciative of this service since many are unaware of the steps to take to make sure equipment gets properly disposed of. If you are in the Tampa Bay area and would like more information on how to recycle electronics, contact us. We encourage you to recycle your electronic equipment. Recycling electronics helps to prevent harmful chemicals from getting into our landfills and water supplies and allows for valuable materials (glass, and some plastics) to be recovered and reused. Recycling old electronics is a win-win situation for everybody. It is just a matter of altering one's wasteful ways and trying to maximize the use of every item such as paper, plastic or even electronic gadgets. One optimistic view on this is that when you try to be practical and reuse or recycle household items - you will be able to realize that you do not have to always purchase news ones.